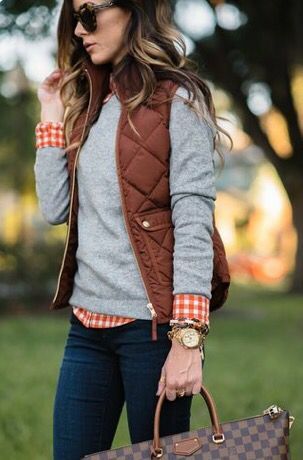 You know how in October your Pinterest feed gets flood with alllll the cute sweater outfits. Cute girls in cute sweaters and cute boots and cute scarves? Yeah, well those days are over. Cute sweater weather, those magical few weeks after the indignity of bathing suit season, is the height of cute-and-cozy outfit season, and here in Florida, it was gorgeous but unseasonably warm, so cute did not equal cozy. Cute meant wearing the same warm weather outfits you were already tired of, on repeat. 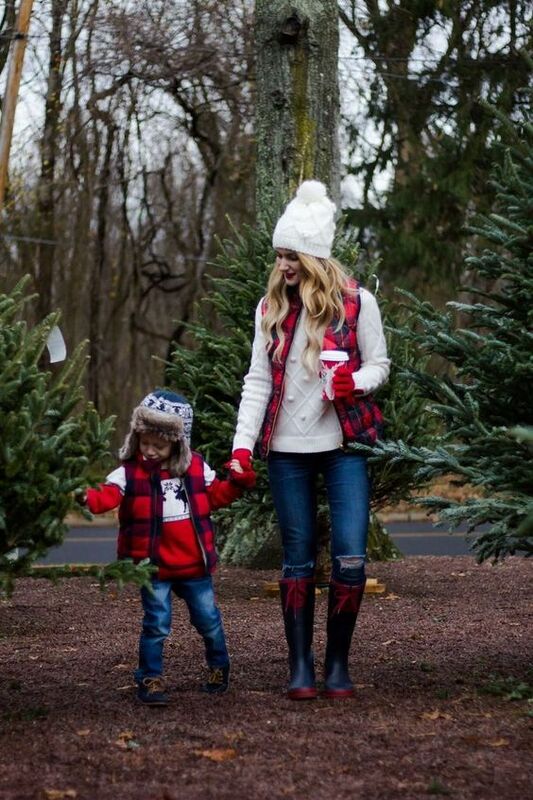 But now we’ve entered the dreary days of post-Christmas winter, when cozy isn’t just a trend; it’s a necessity. The cute-cozy outfits seem far behind, and with the new year ushering in record lows and rain/snow/sleet across the country, it can be hard to pull it together. Fortunately, I’ve got solutions for braving the fierce weather in a fiercely fabulous way. Back in the day, you might have been told you were a Winter or a Spring. My updated system, developed by Shari Braendel of Fashion Meets Faith, uses a simpler and more accurate method called the Color Code. There are 6 Color Codes: Warm, Cool, Light, Deep, Soft and Clear. Your overall coloring is muted and gentle, and there is little contrast between your hair and your skin. Choose pretty, subtle shades like yellow, teal, coral and mint, and avoid black. The opposite Color Code from SOFT, Clear women have high-contrast coloring, with dark hair, fairer skin and bright eyes. Clear women look gorgeous in bright vibrant colors and high contrast prints like black and white. Megan Fox’s striking coloring makes her a CLEAR Color Code. One of only two Color Codes not considered neutral (the other is COOL), a WARM woman will usually have red hair, strawberry blonde or golden blonde. You may have freckles and hazel or green eyes, although your eyes could also be brown or blue. You look best in warm, autumn colors like golds, greens, and warm reds, and should choose gold jewelry over silver. Nicole Kidman’s delicate coloring makes her a WARM Color Code. A COOL Color Code woman has gray, silver or platinum hair. You will look best in colors that echo your natural coloring, such as blues, grays and pinks. Avoid muted, muddy colors and earth tones. 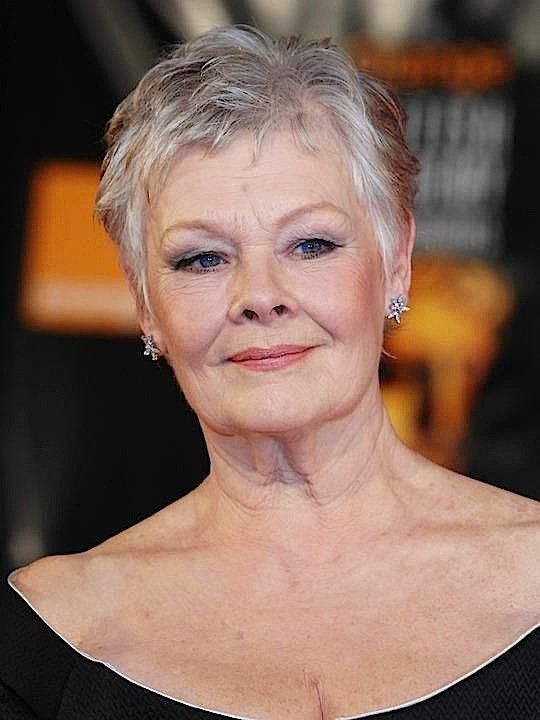 Actress Judi Dench is a COOL Color Code. DEEP Color Code women (like me!) have strong coloring, with dark hair and dark eyes. They look best in deep shades worn with vibrant shades, and should avoid soft colors like pastels. Selena Gomez has a DEEP Color Code. Blue-eyed blondes with fair skin generally fall into the LIGHT Color Code. They are most flattered by light shades and soft pastels of purple, blue, and green. Michelle Pfeiffer is a LIGHT Color Code. Think you know your Color Code? Then you’re all set for tomorrow, when we develop a Color Palette for your wardrobe. You may also want o consider ordering a set of swatches, which feature 36 of your best, most flattering shades of clothes, makeup, even nail color! Still unsure? Then consider joining the Style Confidence Club, where I’ll help you discover your body type, your Color Code, and so much more! This outfit formula is as simple as it seems. 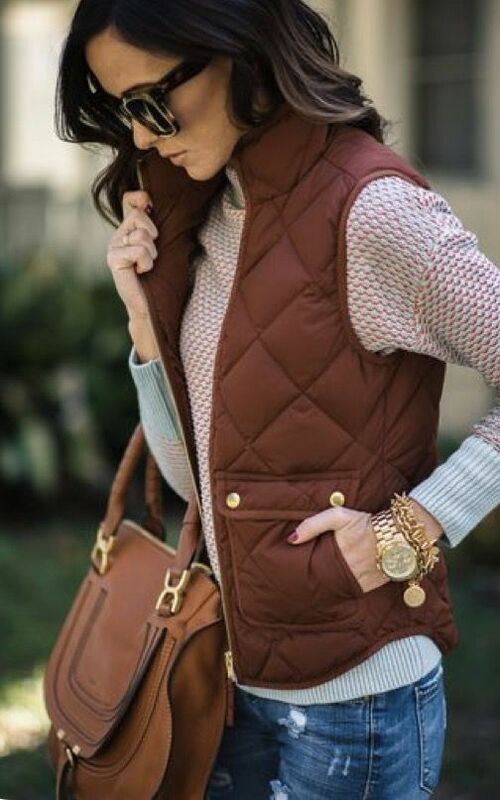 A puffer vest (or any vest, really) elevates a basic cozy sweater and, when paired with jeans, makes it an outfit. It’s that essential third piece that unites separates into a cute, cohesive whole. Finish the look with optional (but highty recommended!) 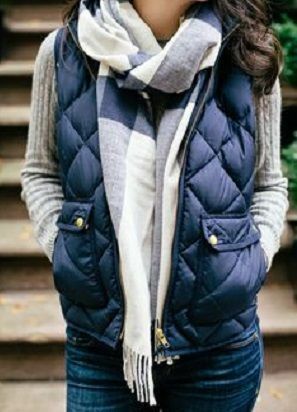 accessories like scarves, beanies and boots. 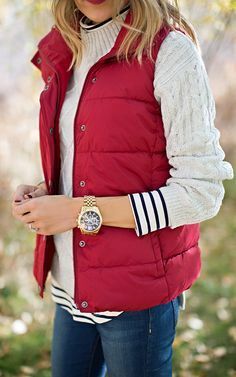 As you can see, a puffer vest makes a great layering piece for extra warmth and style, and it’s also very budget-friendly. Here, the best vests for every budget. 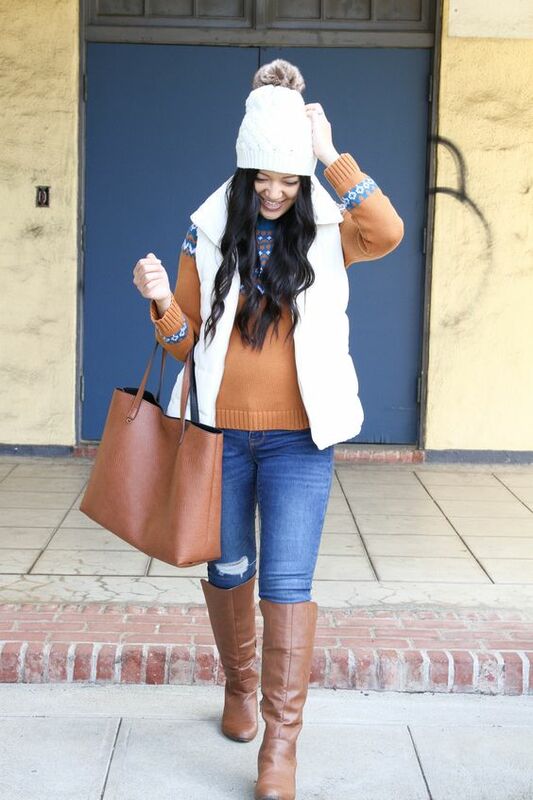 I hope you’re feeling inspired to stay cozy and cute with these winter outfit ideas! 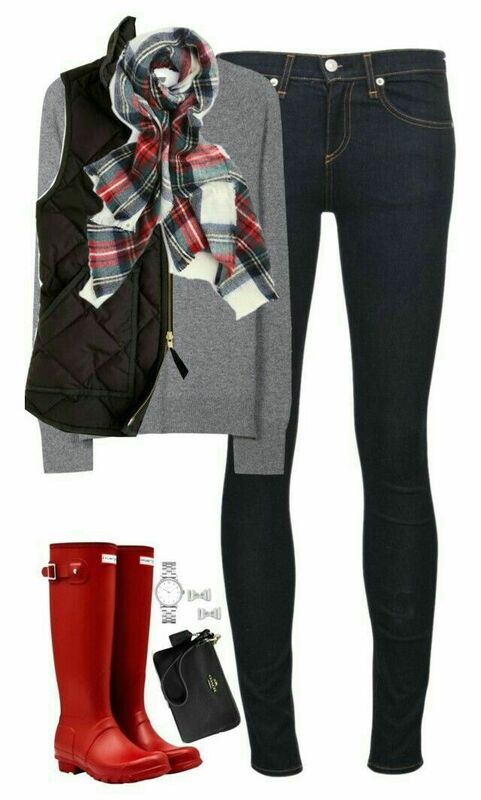 Check back all every day this month for more outfit ideas and inspiration!